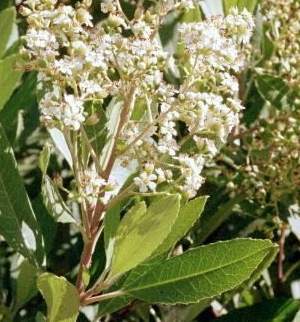 Comments: Broadleaf evergreen native to the local area and much of California. Usually 4' to 8' when mature but can be taller when conditions are good. Small white 5 pointed flowers in clusters in Summer and red BB shaped berries in Winter. 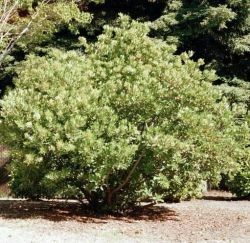 Toyon is also know as Christmasberry or California-holly due to the red berries.